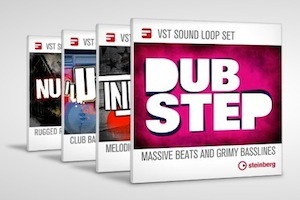 Steinberg released four new VST Sound Loop Sets. The titles Dubstep, Indie Rock, Nu Metal and Urban reveal dedicated sound content selected for four very contemporary music styles. The Dubstep VST Sound Loop Set is a nod to one of the latest dance movements, available in 28 construction kits. The Indie Rock VST Sound Loop Set is laid out in 25 construction kits for all things alternative music. Nu Metal comes ready for use in 11 comprehensive construction kits, consisting of powerful guitar riffs, chords and a plethora of metal drum loops. The Urban VST Sound Loop Set boasts hip-hop, R’n’B and soul loops conveniently laid out in 24 construction kits. Each set is available at the suggested retail price of EUR 24.99, including German VAT, and GBP 21.17, including British VAT.